Viknesh Vijayenthiran September 30, 2014 Comment Now! 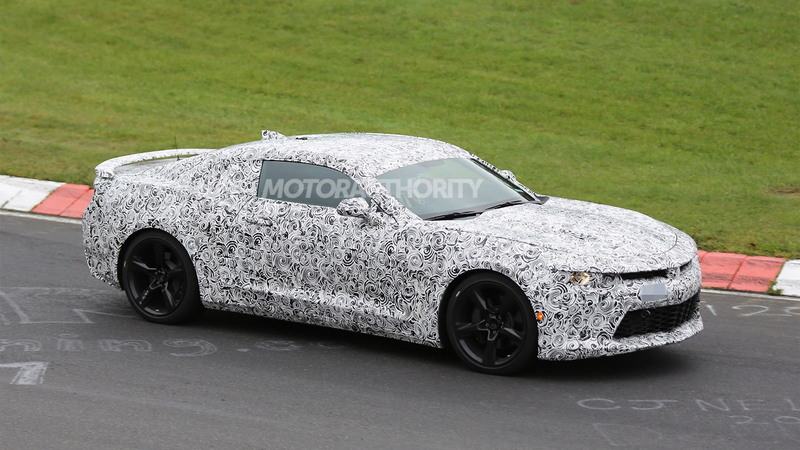 These are our latest spy shots of prototypes for the all-new, sixth-generation Chevrolet Camaro. 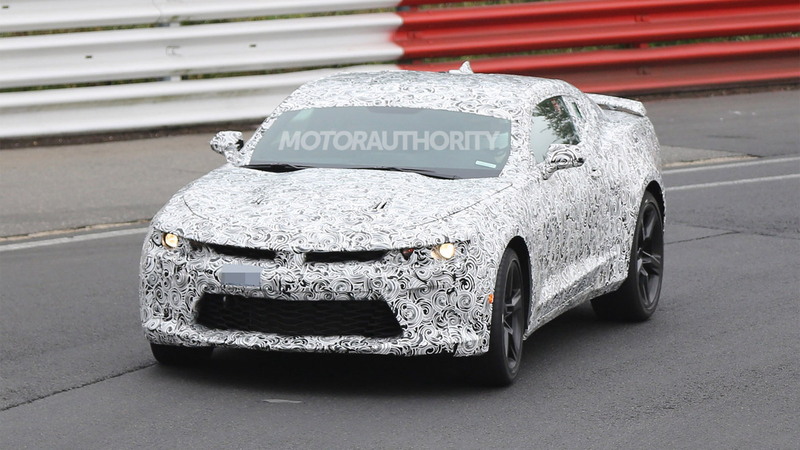 As the prototypes confirm, the new Camaro won't look very different from the current model, but there are some big changes taking place beneath the skin. 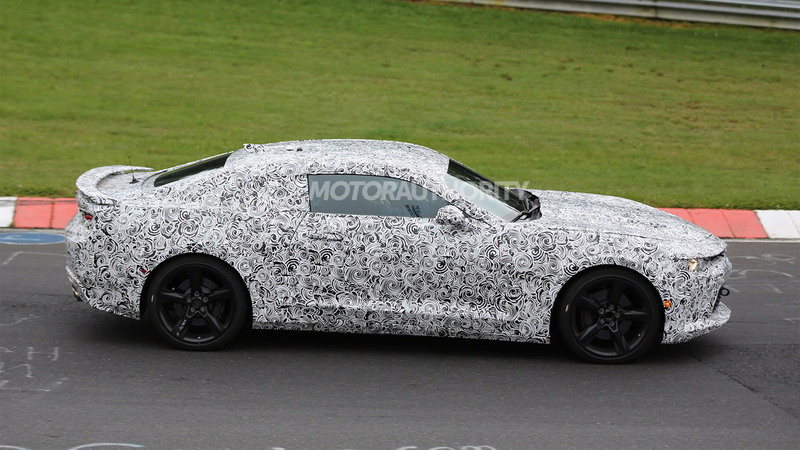 As we’ve known for some time, the new Camaro, which should launch on the market in the second half of 2015, as a 2016 model, will be based on General Motors Company’s [NYSE:GM] brilliant Alpha platform, currently found in the Cadillac ATS and CTS. Both light and stiff, the platform should ensure the new Camaro is leaps and bounds ahead of the relatively heavy fifth-gen model when it comes to acceleration, handling and economy. 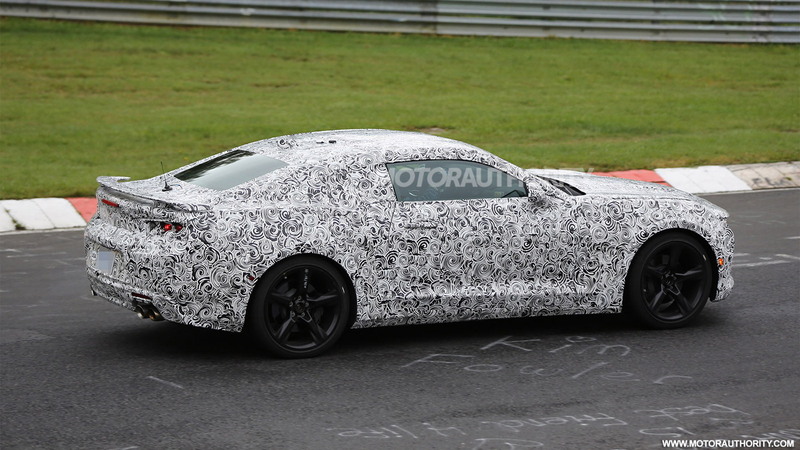 The lighter weight will also allow the new Camaro to offer a four-cylinder engine, providing a rival for Ford Motor Company’s [NYSE:F] new Mustang EcoBoost. Note, the Mustang EcoBoost weighs in at 3,532 pounds, and considering the Alpha-based ATS sedan weighs about 200 pounds less than this, the Alpha-based Camaro could have quite the advantage over its traditional foe. In the powertrain department, the four-cylinder engine will likely be a version of the 2.0-liter turbocharged unit that produces 272 horsepower and 295 pound-feet of torque in the Cadillac ATS and CTS. Of course, V-6 and V-8 units should continue to be available. In fact, these prototypes are wearing quad-exhaust tips, suggesting they’re running V-8 engines. We hear the new Camaro SS will adopt a V-8 based on GM’s Gen V small-block instead of the current model's aging LS3. At launch, we should see at least a base V-6 model, V-8-powered SS and perhaps the new four-cylinder model. Further down the track we can expect replacements for the 1LE, ZL1 and Z/28. 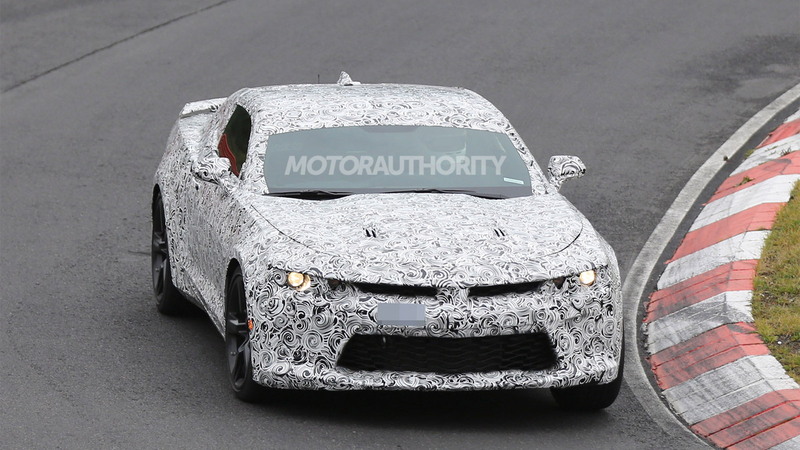 Look for a debut of the 2016 Chevrolet Camaro at the 2015 Detroit Auto Show in January or the 2015 New York Auto Show in April. Production will take place at GM’s Lansing Grand River Assembly Plant located in Michigan, the same site where the ATS and CTS models are built (the current Camaro is sourced from Canada). Around the same time that the coupe is launched, we're expecting the Camaro Convertible to be offered as well.